The American Philosophical Society was founded in 1745 by Benjamin Franklin and his circle of like-minded friends. It was modeled after the Royal Society (and hoped to be the loyal American equivalent), with members reporting on their experiments and discoveries. It was not a professional society but one for the gentleman experimenter. The Transactions did not appear until 1769, long after Franklin's 1752 experiment with a kite. A friend of Franklin's submitted four contributions on the experiment and its import to the Philosophical Transactions in that same year. If the experiment had been conducted in 1852 instead of 1752, it's very likely that Franklin would have submitted the results to the Transactions, the American Journal of Science, or even, ironically, the Journal of the Franklin Institute. Franklin's work on chimneys, however, was published in the second volume of the Transactions. 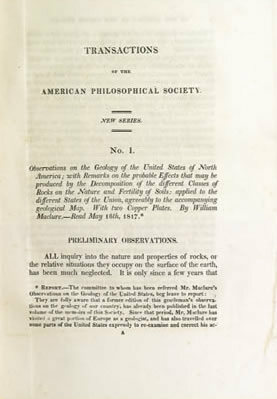 In 1838 the American Philosophical Society began another "journal," the Proceedings. For many years this was merely the summary of the Society's business and meetings but by 1860 it began to print substantive material. 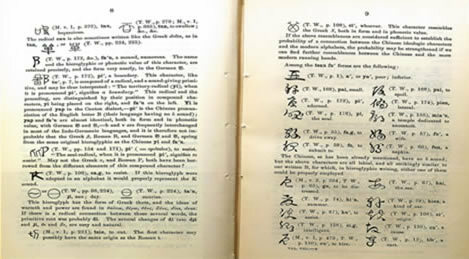 By the early 1900s the Transactions had become a "monographic series" (each issue on a particular subject by one author) and the Proceedings became the journal for research articles.